The high-stakes MP3 player market is set to undergo a video-focused revolution. It seems that to have pretty colour screens and MP3 playback is no longer enough these days: large, bright widescreen video playback is an absolute must for the next generation of players. 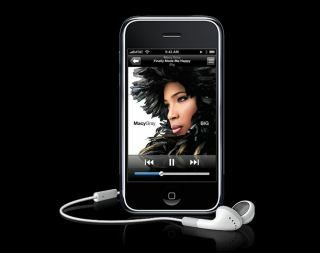 It's widely expected that Apple will this week launch a new widescreen, touchscreen 6G iPod to lead its range. It'll be an iPhone but without the phone functionality. At the same time, Creative says it is also building an exciting new player and SanDisk looks set to launch a redesigned Sansa View video MP3 player perhaps as early as this month. Wojtek Rudko of SanDisk today told Tech.co.uk: "We've revised the concept [of the Sansa View] and I can tell you that it's going towards more portability. The market as a whole is moving towards video players so you'll just have to wait and see what comes from SanDisk in the next few weeks." On Thursday, Samsung also launched a new range of MP3 players. The YP-P2 player has a large colour wide touchscreen for smooth music listening and spectacular video playback. The shift towards video playing focus is most likely due to the pressure being put on manufacturers by the mobile phone industry. Most phones are now also MP3 players and so the likes of Apple and SanDisk are having to innovate in order to keep their profits alive. So for the rest of 2007 and on into 2008, you can expect a swathe of widescreen MP3 players coming to market. And the next time you buy an MP3 product, you might find that you've got a portable video player too.